The oldest road is reputed to be the Heidelburg to Rustenburg road. It was originally a wagon trail and remnants of it have evidently been preserved at WITS campus. 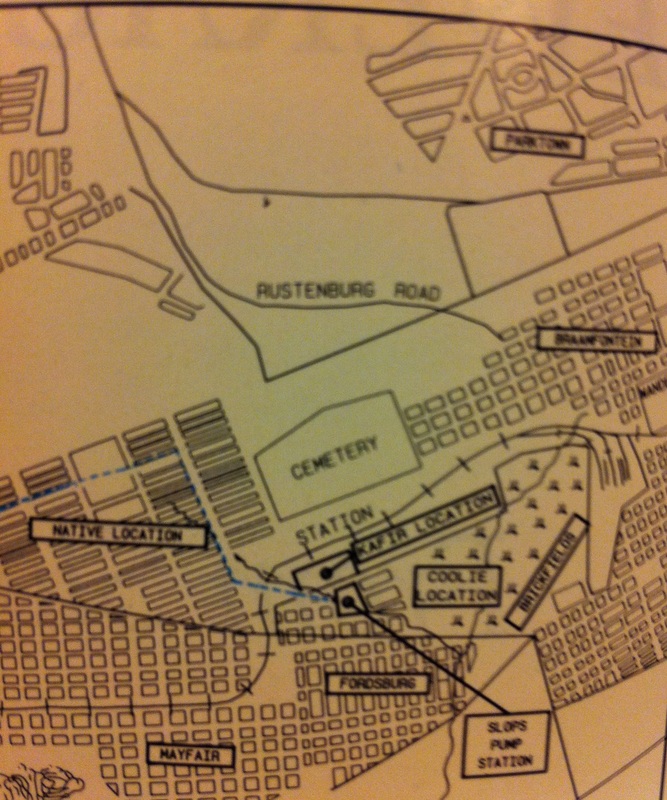 Looking at old maps, the road today appears to be the same Rustenburg Road that snakes through the bottom of Melville and reappears in Victory Park. Part of the original road also became Barry Hertzog. This road or track existed before the discovery of gold. It is said that Melville koppies, Parktown ridge and the Mondeor koppies were barren, rocky and almost treeless but looked much the same as today (minus the houses of course). In December 1886 there was only one tree in the whole of Randjieslaagte situated in Church Square which became Von Brandis Square – where the law courts are today. 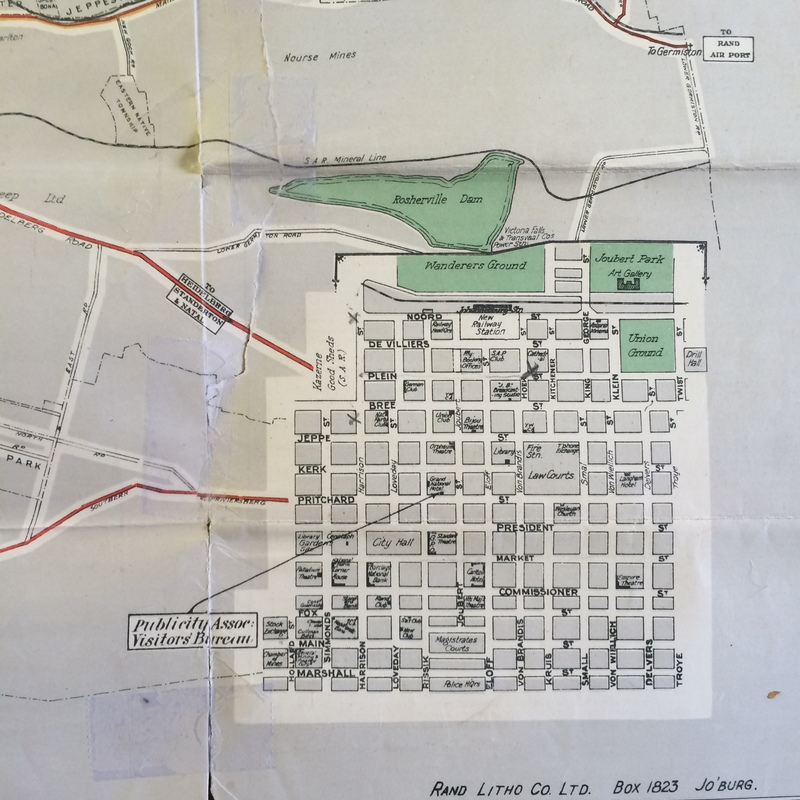 The first road in Johannesburg was Commissioner street. It linked Ferrieria’s Camp to Jeppestown and was created by filling three ox-wagons with rocks and dragged them up and down in a straight line for a week . With the fast influx of people and increased mining needs, transport became an issue. 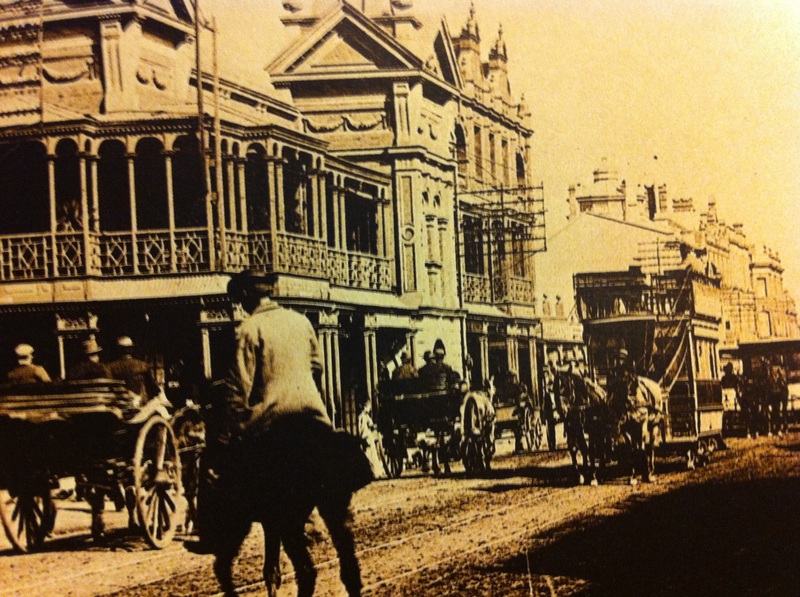 Most roads in the town (right up to the mid 1910) were still mostly sand without pavements, curbs or drainage. Attempts to macadamize the roads were made difficult by continuously overloaded wagons and heavy rain which both damaged the roads. 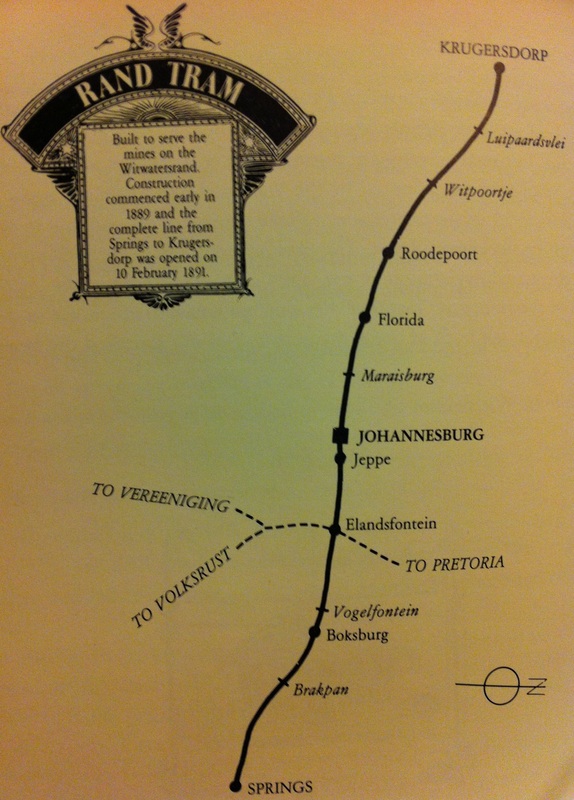 Johannesburg only got a proper railway in 1892. This was 2 and-a-half years after the isolated Rand Tram was set-up to transport coal from Boksburg. 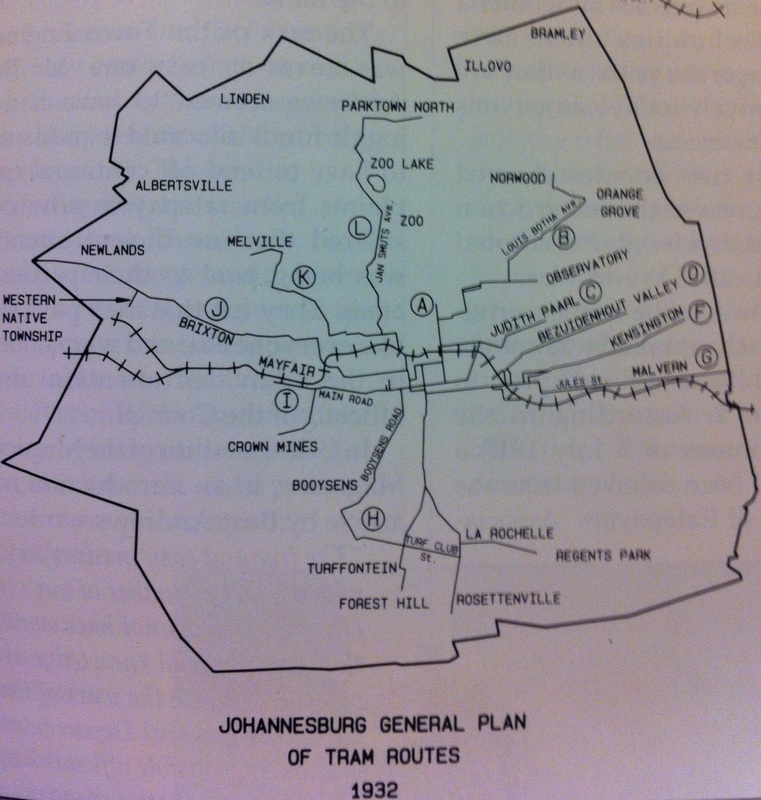 The Rand Tram would form the basis of Johannesburg’s future railway. Before that, all goods were transported into the town by wagon from either the Cape or Durban from wherever those railway lines ended. It is said the road (or wagon tracks) to Johannesburg were paved with skeletons of countless draught animals that died from hunger, thirst or exhaustion along the way. Arriving in 1889, the first town engineer, William Henry Miles from Bournemouth, supervised the laying of the first tram lines. 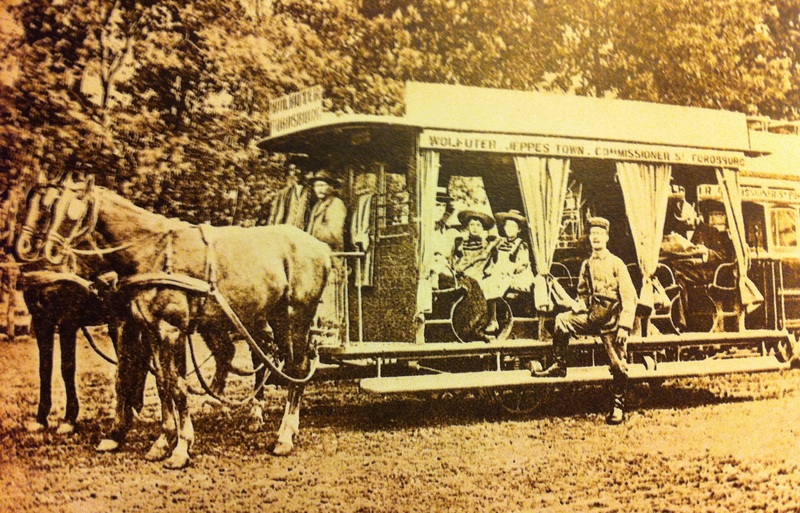 In 1891, the first horse tram moved out of the Market Square terminus. 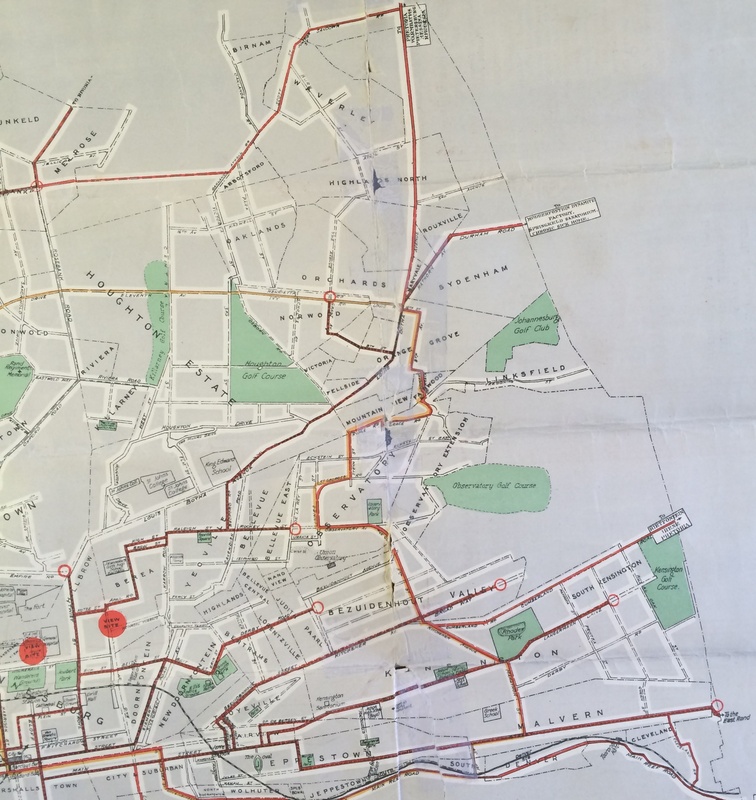 Horse drawn tram lines were limited to town, Braamfontein, Hospital Hill, Fordsburg, Jeppe, Belgravia and Doornfontein, totalling 11.5 miles of track by 1893. The horse tram sheds were located on the north side of the Staib Street. Within a few years double-decker trams were introduced and serviced the city for many years. 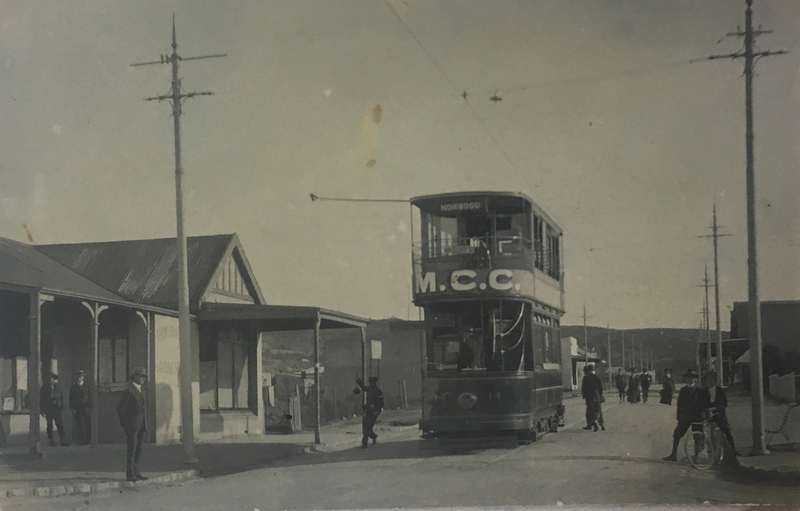 The last horse-drawn tram trip was made to Braamfontein on 14 July 1906, five months after the introduction of the electric tram, and co-inciding with the date of the opening of the Melville electric line. The #8 horse tram survives in the James Hall Transport Museum. 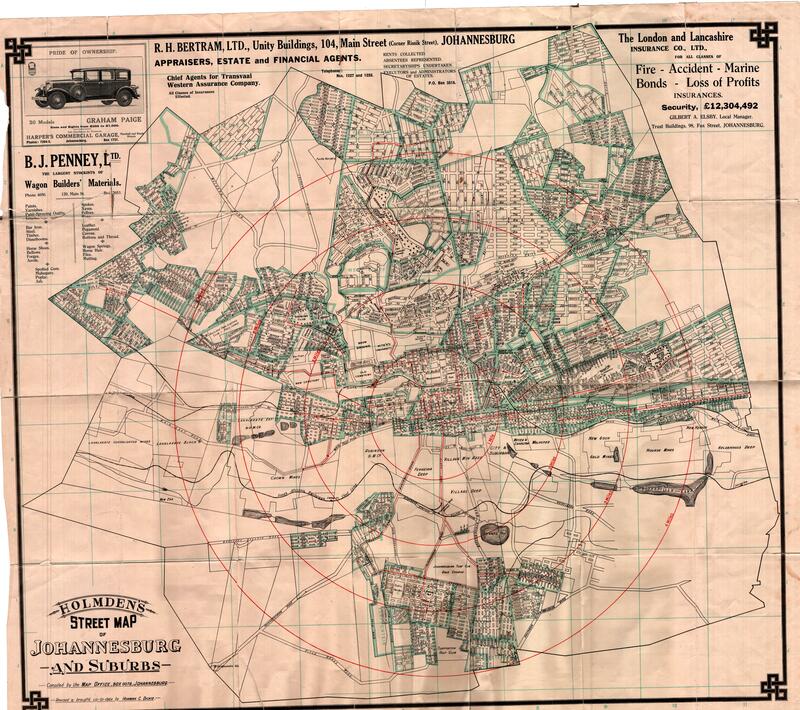 A major problem in planning the trams was the railway line which effectively cut the town in half. To get around this, bridges and subways had to be built because the existing level crossings where becoming too dangerous and difficult to maintain with the increase in traffic. 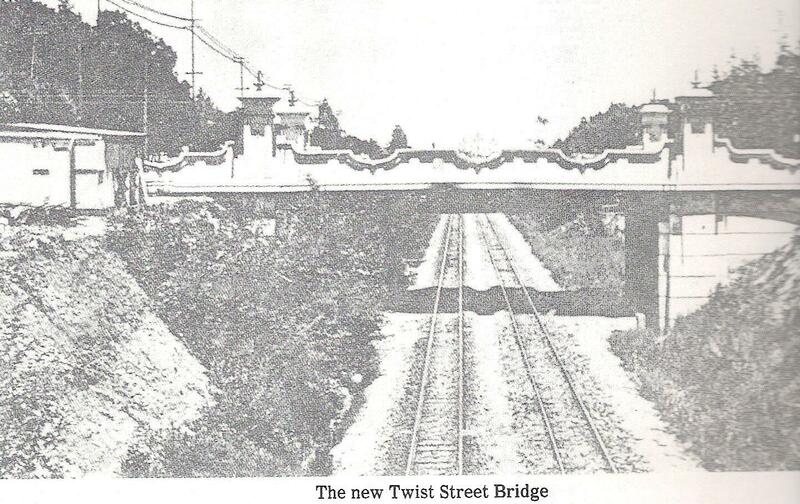 In 1904 the Twist Street and King George bridges were built. The Main Street subway in Jeppe was finished in 1905, Braamfontein/Harrison Street subway in 1906, Siemert Road Doornfontein in 1910 and the Vrededorp subway in 1913. 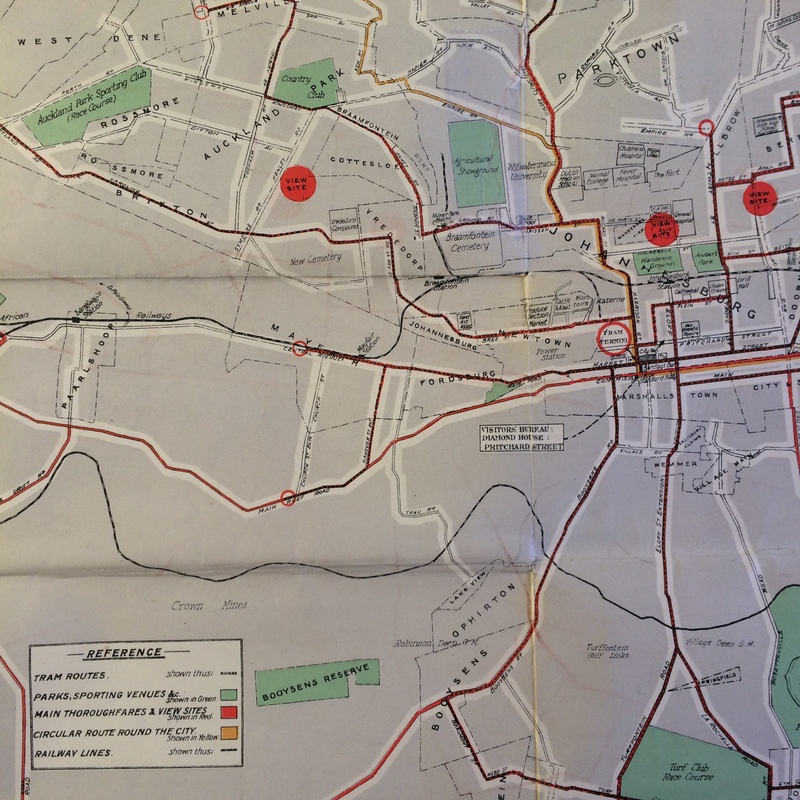 The outbreak of the war put stop to plans to move to an electric tram system. 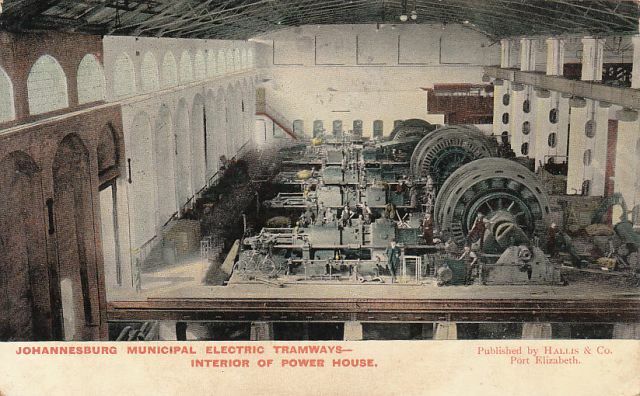 The electric tram and the power station to supply the electricity was started in 1905. By mid 1906 most of it was completed. 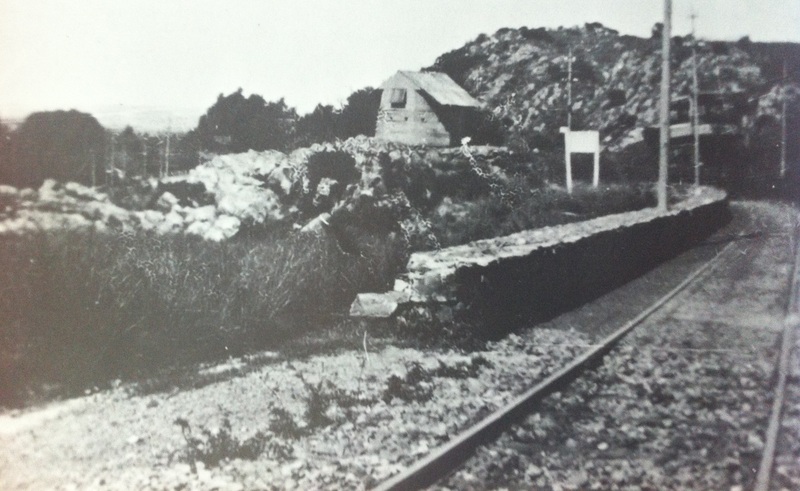 The first service from Market Square to Siemert Road railway bridge took place on 14 February 1906. 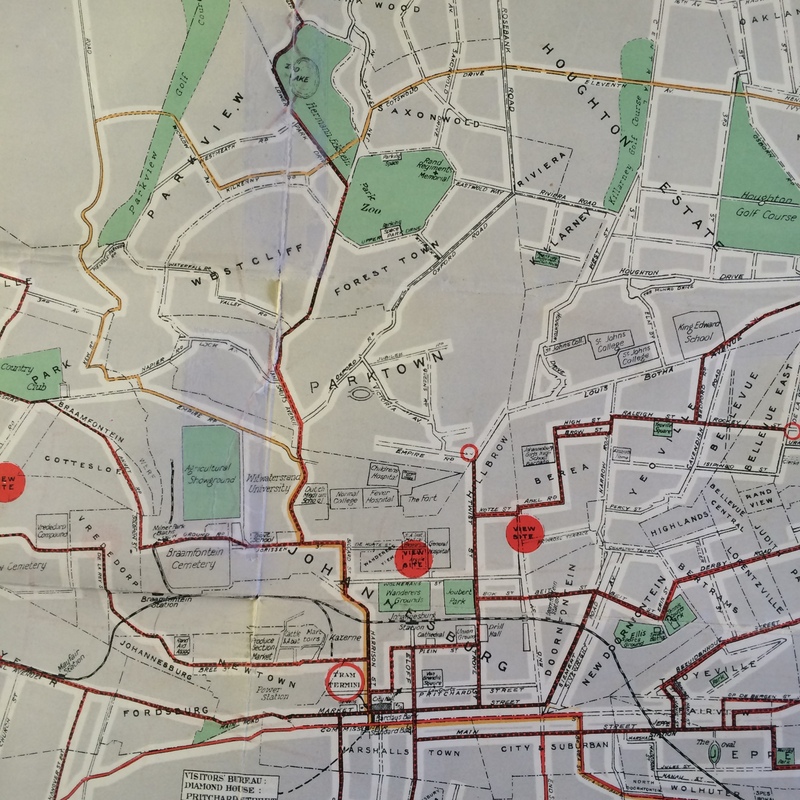 By the end of the year 14 routes were in service. 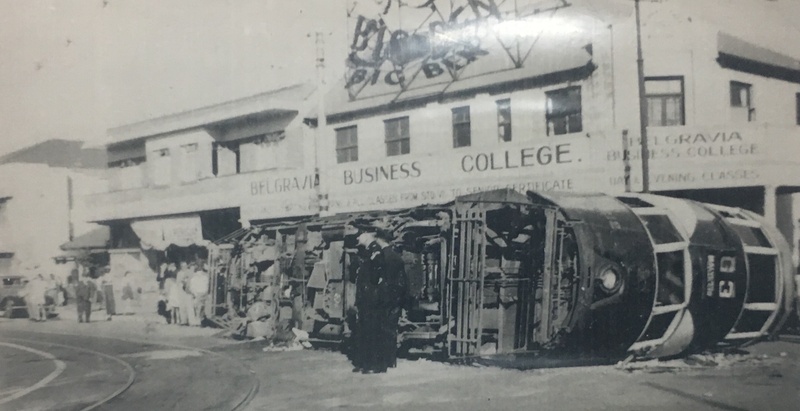 Of interest are two accidents: On 5 December 1906 tramcar No.51 overturned in Berea on the corner of Tudhope Avenue and Abel Road, and on 27 March 1907 two cars collided at the bottom of Twist Street due to a locust swarm. 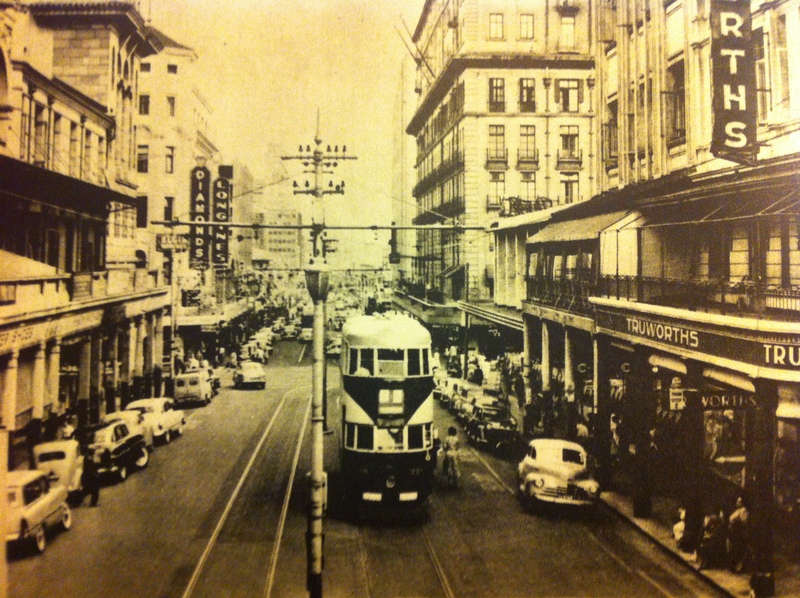 By 1925, the overhead tram lines reached a distance of 136km and serviced by 191 cars. 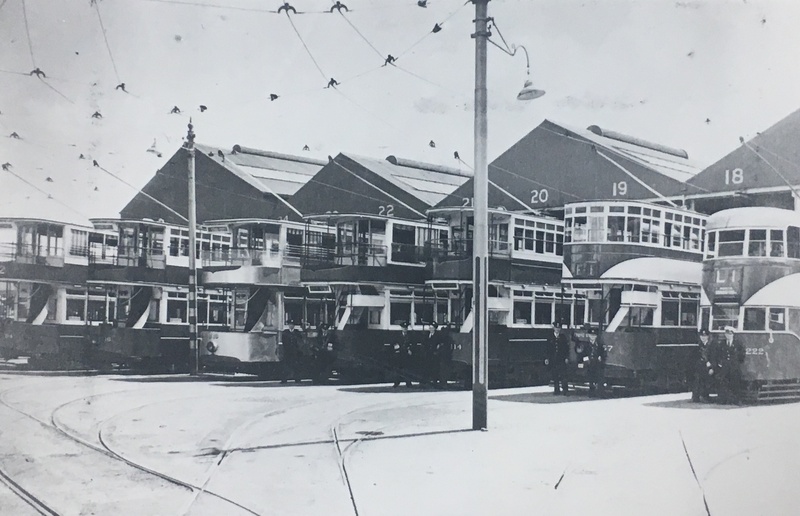 Before WW2 there were 242 tramcars plus another 138 motor buses and 38 trolley buses that serviced other routes. 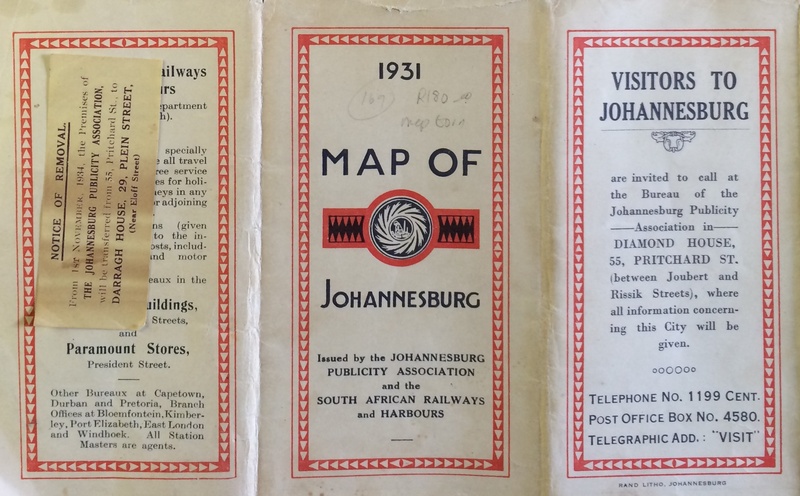 With the increase of traffic in general from the 1930s, negotiations began to lower the railway lines starting with Jeppe. This work started in 1936. The Main Street subway was eliminated (See picture of this subway here) and new bridges built at Nugget Street, Cleveland, Denver, Tooronga, Geldenhuis and 6th Ave, Mayfair. The tram system was far from efficient. 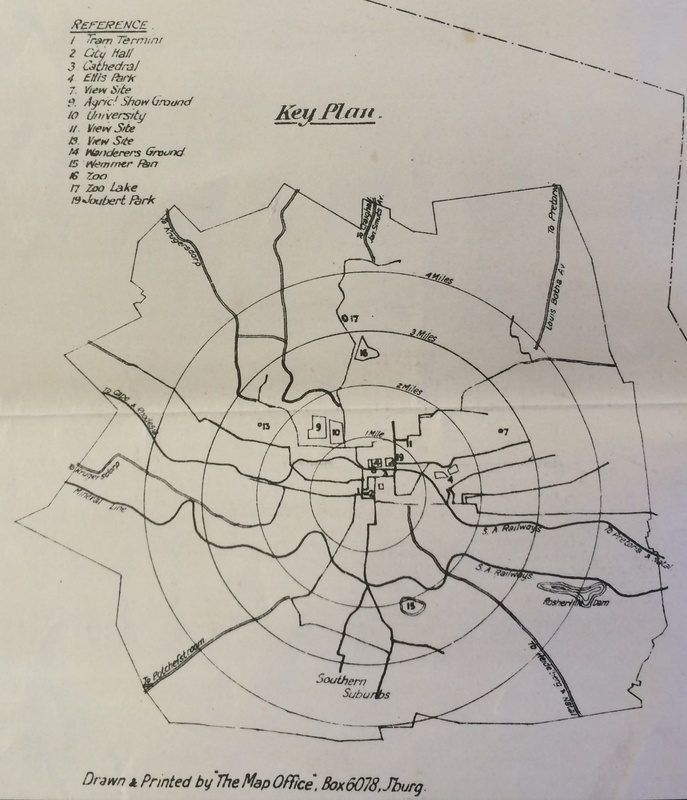 In the early 1930s, the suggestions of the Spencer Commission revitalised the system. Most improvements took place in 1935 and 1936 and resulted in higher passenger numbers than before. Poor routes like Wolhunter and the southern suburbs were converted to diesel buses while busy routes saw the doubling of tracks. Originally known as No. 2 shed and built in 1926, this depot was used as a bus repair garage until 1931. 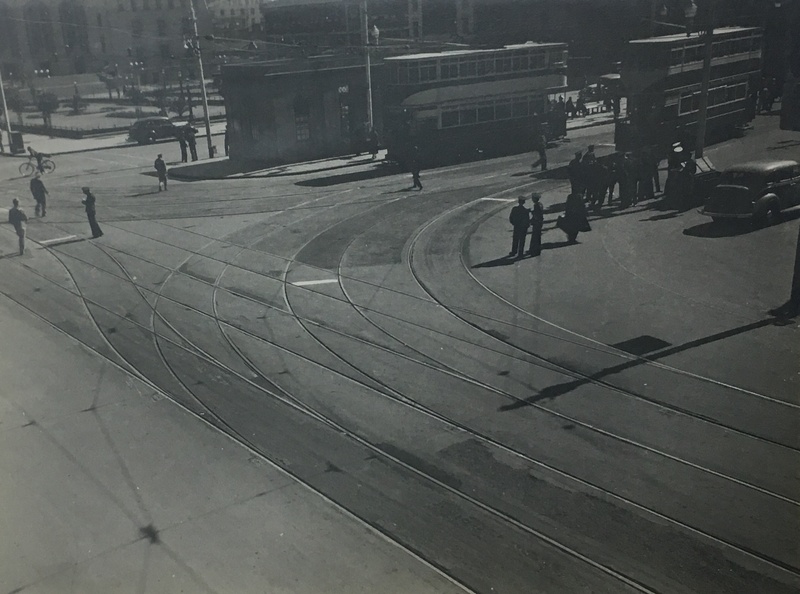 It was extended in 1935 to house trolleybuses and after 1938, it also housed surplus cars. 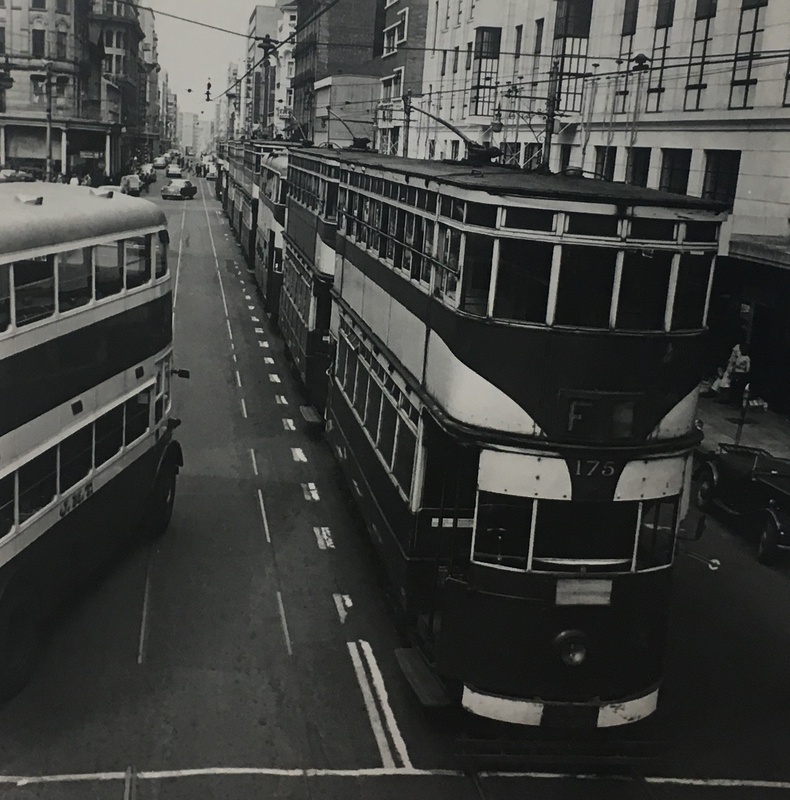 In the 1970s the building was converted into a garage for the double-decker buses that replaced the tram system after the tram network was dismantled in 1961. It remained in operation as a garage until the 1990s. The Bus Factory, as it’s known today, was renovated and part of it turned into offices for the Johannesburg Development Agency in the late 2000s. Along with the JDA offices, the complex is also home to various theatre, art and photographic organisations, with the space regularly used for various cultural exhibitions. 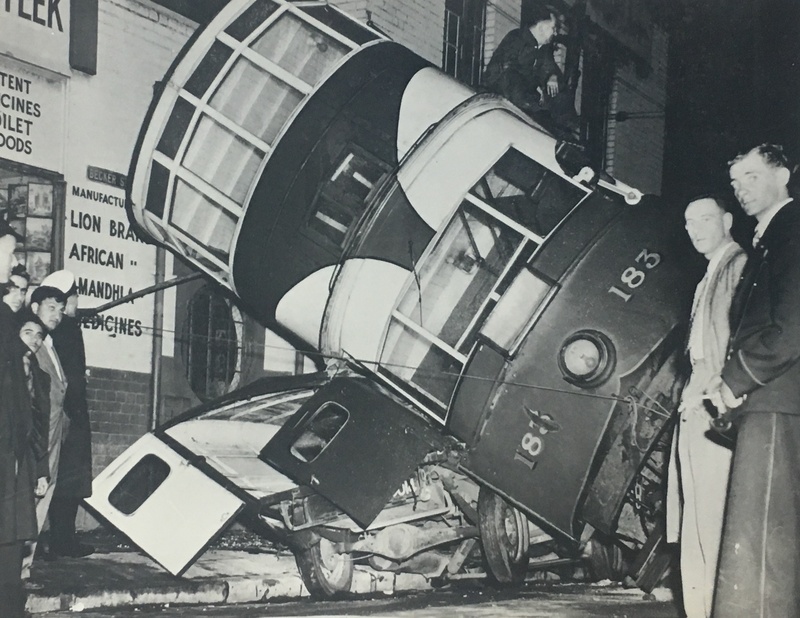 The high incidences of tram accidents and derailments from after WW2 right up until the late 1950s sustained the campaign for anti-trams. An increase in car traffic along with dropping passenger numbers and ageing equipment helped the demise. By 1955 it was decided that most of the trams were at the end of their useful life and would be replaced by trolley-buses over a period of seven years. 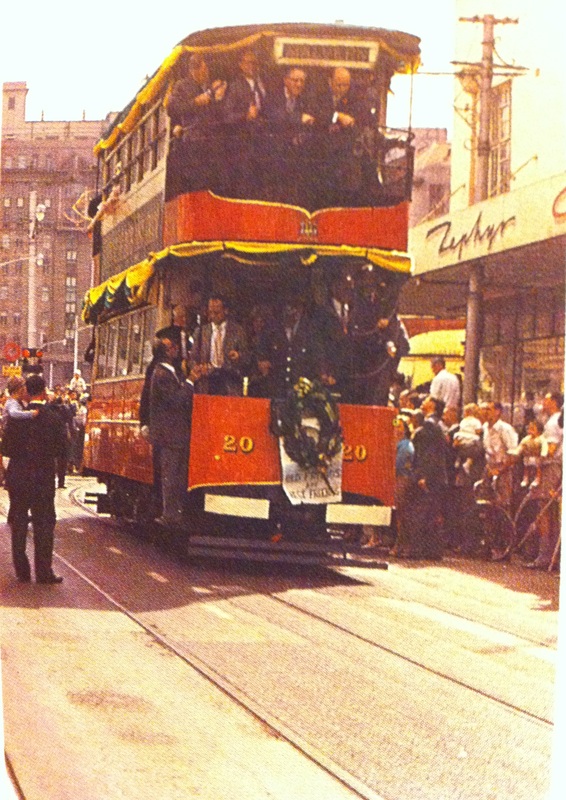 The last trams ran on 18 March 1961, exactly 70 years after the first horse-drawn tram left Market square. 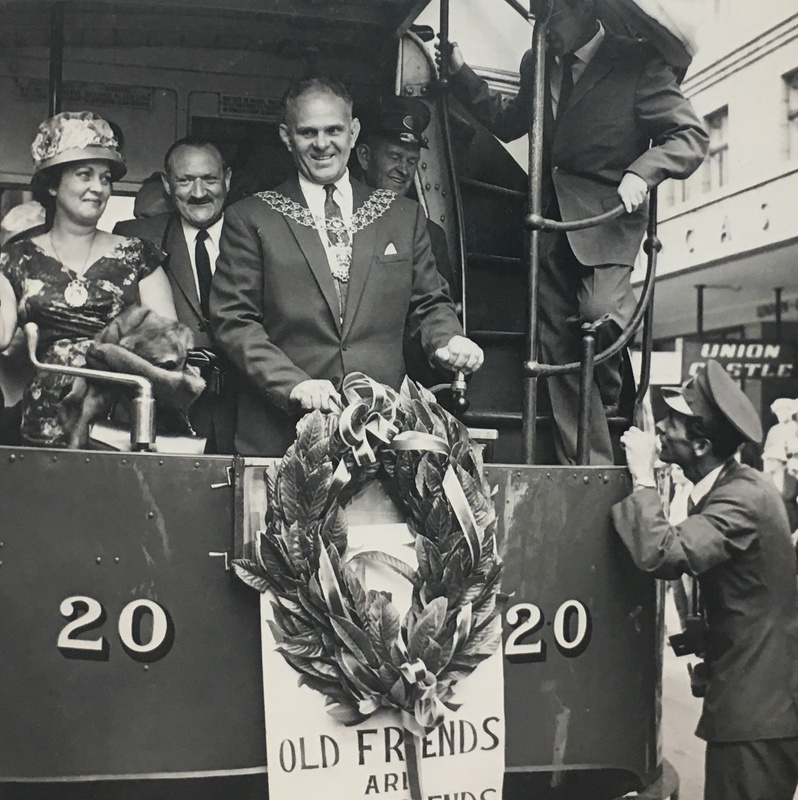 The very last electric tram, a 40 year-old double-decker, was driven by the mayor of Johannesburg Dave Marais. In his farewell speech he said, “It is said, that there is no room for trams in a City like Johannesburg”. Read this wonderful piece written by Steve Hayes who was the last tram conductor to be hired by the JMT. On his third day as a new conductor he worked the last scheduled tram service on Friday 17 March 1961. Check out Mark Straw’s photo collection of the last tram taken at the James Hall Transport museum here. Here are trolley bus videos from 1980 and 1973 showing various buses travelling around the city and suburbs of Johannesburg shortly before they were decommissioned. 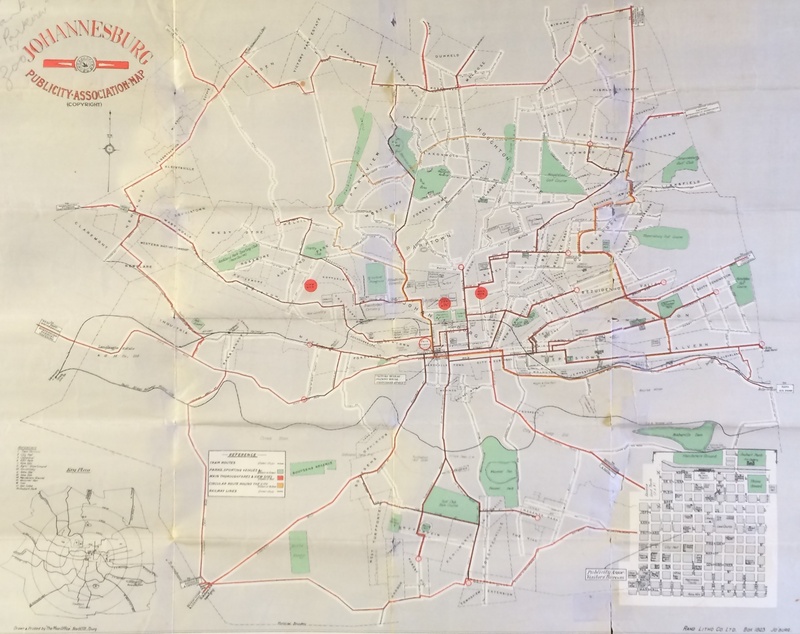 This is a very detailed map of Johannesburg from 1929 with the tram routes indicated in red. It’s 17MB so please be aware when clicking on the image. Click here for the original post and more info on the map. 01 Jun	This entry was published on June 1, 2013 at 6:03 pm. 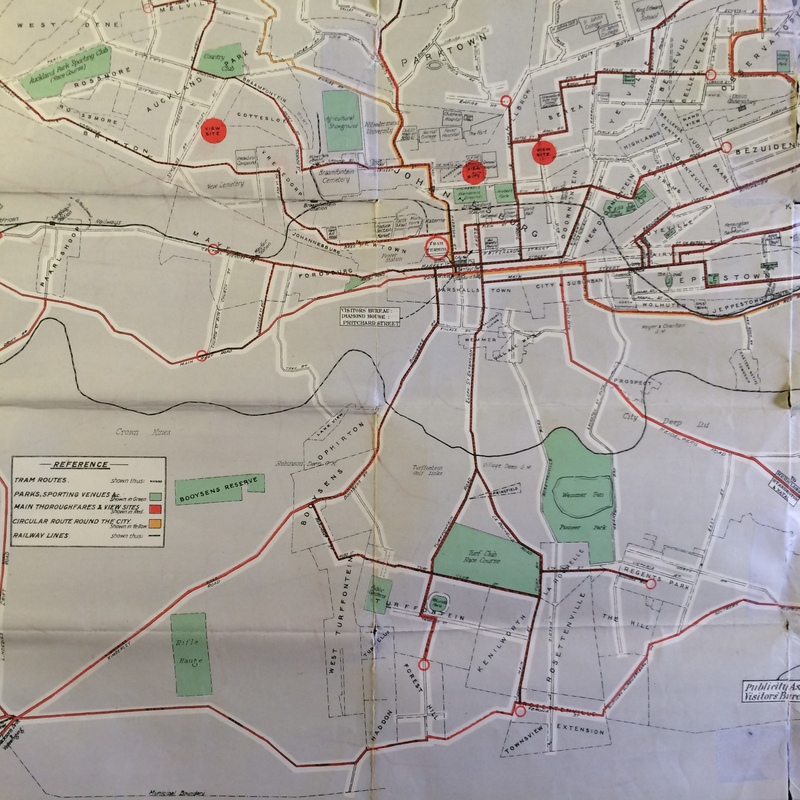 It’s filed under Johannesburg and tagged Barry Hertzog Avenue, Belgravia, Boksburg, Braamfontein, Commissioner Street, Doornfontein, Early Johannesburg, electric trams, Fordsburg, Harrison Street, horse trams, Jeppestown, King George Bridge, Market Square, Melville, Raandjeslaagte, Rand Tram, Rustenburg Road, Siemert Road, Spencer Commission, Staib Street, tram routes, trams, Trolley-buses, Twist Street, William Henry Miles. Bookmark the permalink. Follow any comments here with the RSS feed for this post. Older: This blog is now LIVE! Wonderful stuff!!! Where do you find these wonderful old photos and maps? Hi Marc, do you know what happened to the actual trolley buses when they were phased out in the early 1960″s? A few of them made their way to the James Hall Transport Museum near Rosettenville. They have at least six different models on display. Wonderful old Johannesburg. So different to the chaos of today, or is it? I think it was the same, just more contained than it is today. Hi Marc – Johannesb is right – the three-axle trolleybus is not of the JMT fleet. The 1936 trolleybuses were two-axle buses imported from England. 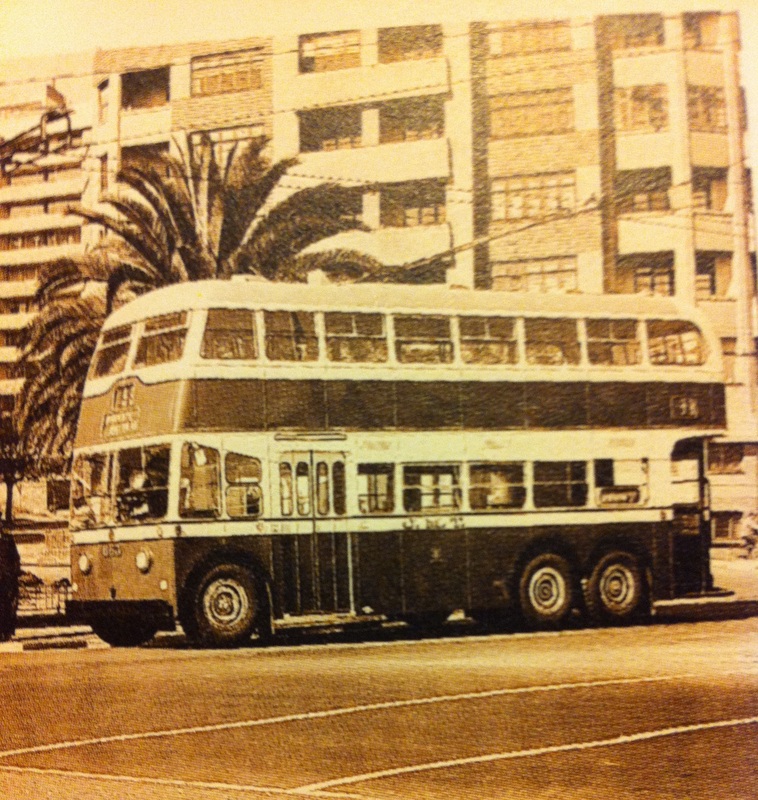 The first three-axle trolleybuses imported for the JMT arrived after WW2 in the late 1940s. I caught many of those trams. Wonderful memories and wonderful blog. 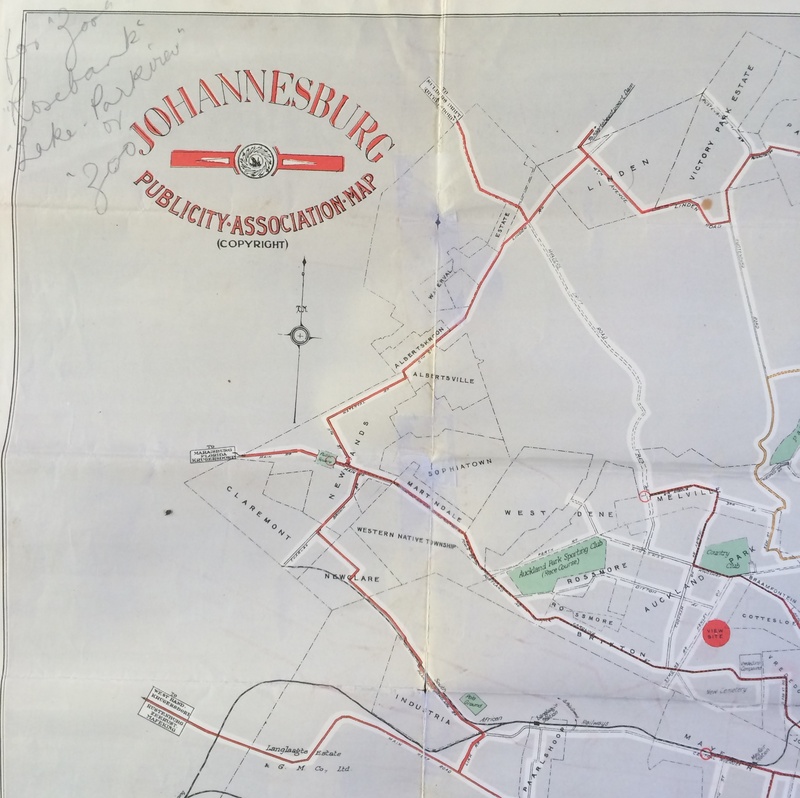 I am doing research on my family tree and would like to know where Anglican churches were situated in Johannesburg in the 1910/20s. As a child, I rode the trams with my grandparents – they had bells as a means of demanding right of way when traffic was heavy. Fond memories! Thanks for your thoughs. A post on early churches (not just Anglican) is in the planning stages. I’ve recently come across a bunch of old churches from the centre of town and Braamfontein from 1886-1920 that no longer exist. It will take me some time to get it together, but please come back and visit or subscribe to get all the updates. Thank you for your interesting article on Jo’burg trams. 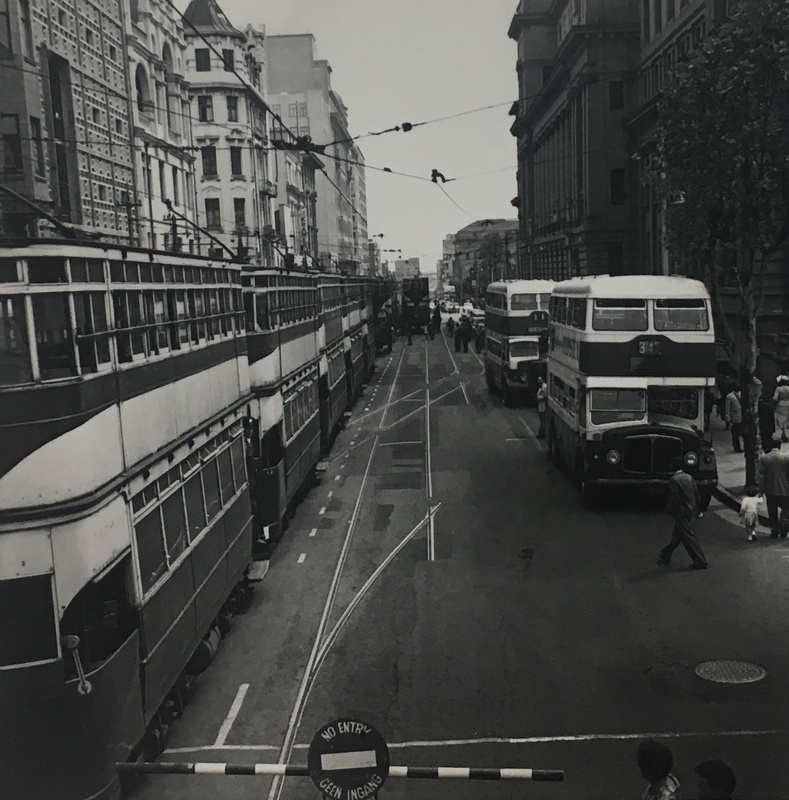 I arrived in Johannesburg as a 13 year old in October 1957 and took the tram through Kensington and into the city until they were replaced by buses in 1961. There wasn’t nearly so much traffic on the roads in those days and the rush hour was confined to the early morning and between 4.30 pm and 6.00 pm in the evenings.Today there seems to be permanent rush hour on the roads! Buses and trains were reliable and punctual, so many people travelled on public transport to and from work, rather than using their cars. In fact, I can remember the days when my father would take us out for a “run” in the car on a Sunday afternoon as a treat! I doubt whether anyone indulges in that kind of activity these days! Thanks for sharing it Bonolo! My pleasure and thank you because I’m actually working in a project in Johannesburg and your article was very helpful. Hi, the ‘trolleybus 1935’ picture is actually a Belfast Corporation bus, Belfast in Northern Ireland, the destination indicators that Belfast used are very distinctive. I have ridden and filmed Johanessburg tram No. 60 at the National Tramway Museum at Crich in Derbyshire, UK several times, was one of the streamlined pre-war trams preserved?. Very interesting site. Thanks for that information Bob! I’m not sure if one of them was preserved. I have a few pictures of the trams at the James Hall Transport Museum that I’ll post here. Perhaps you can shed some light on them. I have just remembered that I have a book by Tony Spit about the Johannesburg trams, this says that 1936 streamlined tram 214 is preserved (amongst others) at the James Hall Transport Museum. These trams were built by Metropolitan-Cammell in the UK and were similar to trams built for Liverpool around the same time. I acquired the book many years ago, second hand, it was published by the Light Railway Transport League ( now Association) in the UK in 1976 and has long been out of print. I hope that this information is useful. My bookdealer is on the lookout for that Tony Spit book for me. Thanks for a very interesting article. The trolley buses at the Transport Museum are from Cape Town, Durban, Pretoria and Johannesburg. 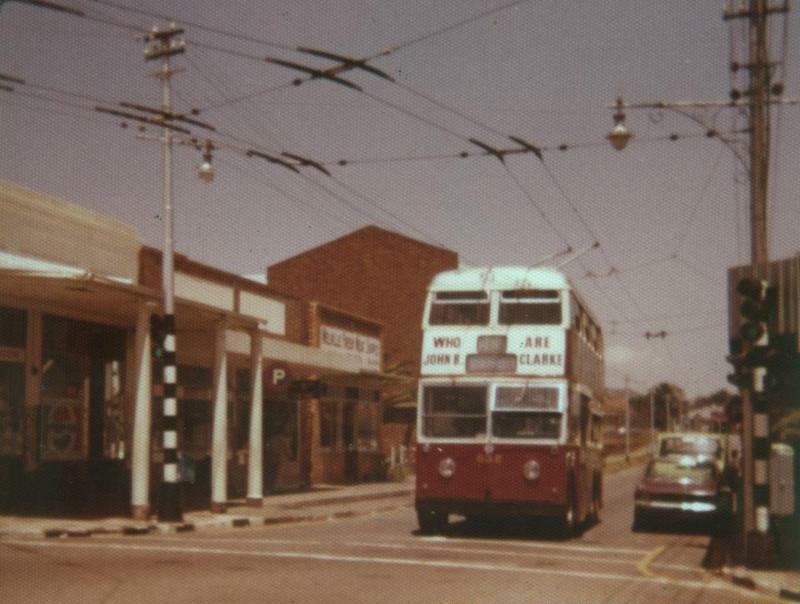 The two Johannesburg trolley buses include the last trolley bus to run in Johannesburg in 1986. Thanks James! I vaguely remember trolley busses but do recall the lines they were connected to staying up for many years after they stopped operating. The caption of one of your pictures is completely incorrect. The wording “Laying tram tracks at terminus in Market street” , is not right. The place in the picture is not the terminus in Market street at all, it is a view of the tram sheds in President street. 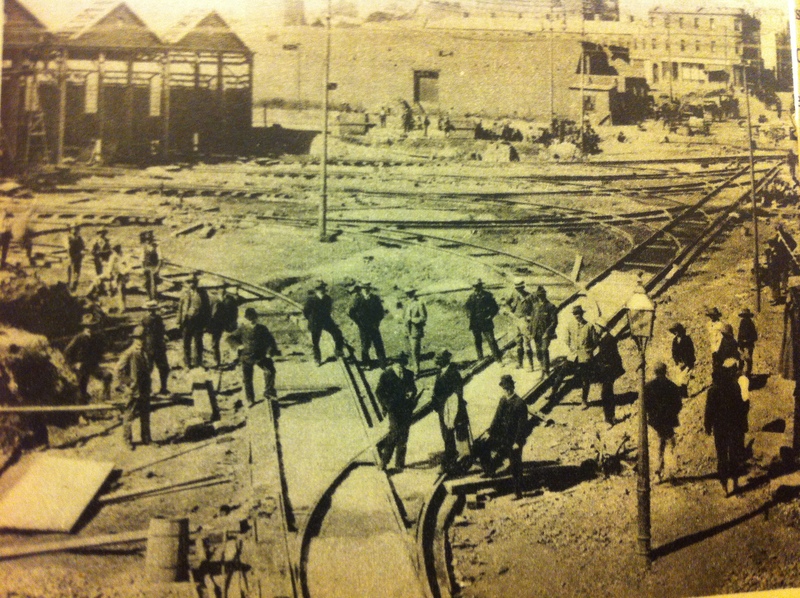 This picture was taken when shed number one in President street was being built and the tracks being laid for trams to get in and out of the new carshed. The wording should thus be, “Laying tram tracks at the new tram shed in President street”. Thanks Fred! I can only go on what the reference books tell me but I’ll update accordingly. Do you know where in President Street the sheds were? The number one carshed was in President street on the corner of West street. The names of various streets have recenlty been changed. There was another carshed, shed number two. This is not pictured in your excellent photo series. However, carshed two was also in President street but slightly further away from the city centre on the corner of Cogh street. Carshed two was built at a much later date. I was at the National Tramway Museum in Crich yesterday and they had an old JHB tram still in its original livery, sporting destination signs for Turffontein, Show Grounds, and Rissik Street. It was an awesome museum, and it is a pity that James Hall was never able to have a running tram at its site. Great blogpost though, I missed out trams by 2 months. Thanks for the info! Where is this museum? The National Tramway Museum is situated at Crich in Derbyshire in England. Well worth a visit if you are in the UK. Crich is in Derbyshire in the UK. 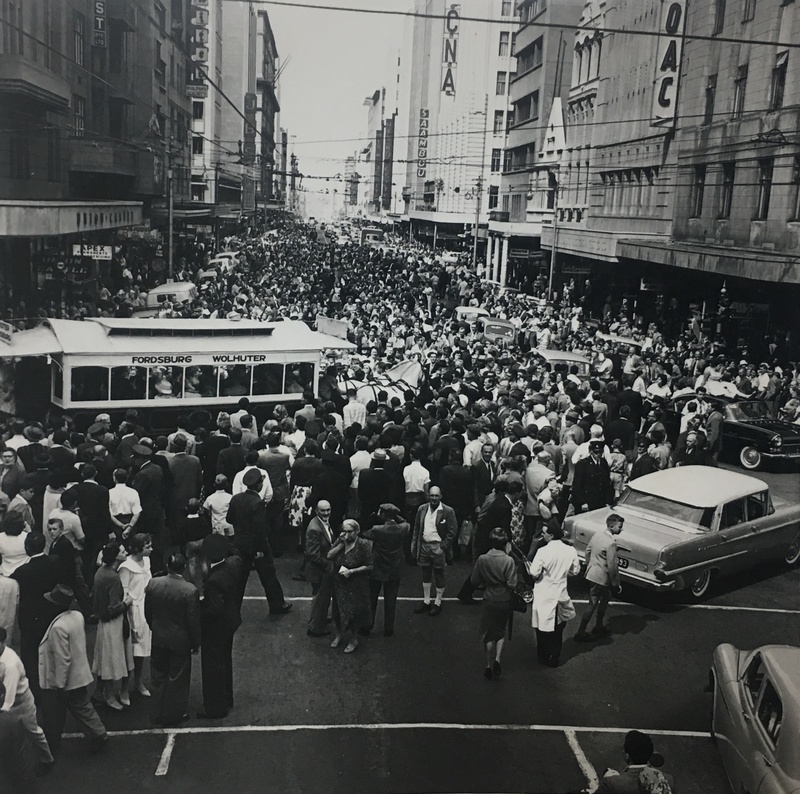 I well recall being taken to see the parade along Jules Street in 1961 of the last trams to run in JHB followed by a parade of the double-decker buses that would replace them. The newly proclaimed Republic and the introduction of decimal coinage were coincidental novelties then. I travelled to Yeoville Boys’ School by tram from Abel Road Berea in the early 1940s. Even then I loved travelling on the tram’s upper floor on the open platforms. 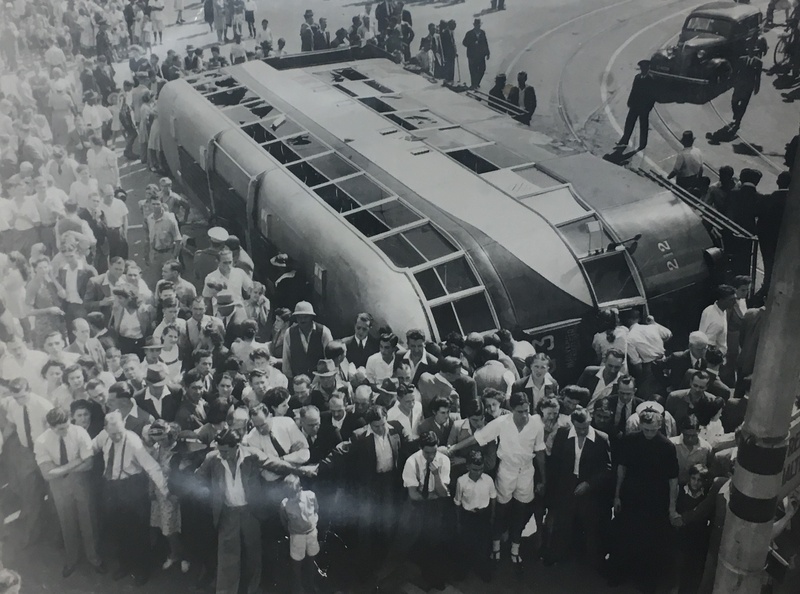 A tram overturned as it turned from Lily Ave into Kotze St, Hillbrow during those years and driver unattendede Trams regularly ran across Louis Botha Ave from the Yeoville Terminus and crashed into the wall at KES. 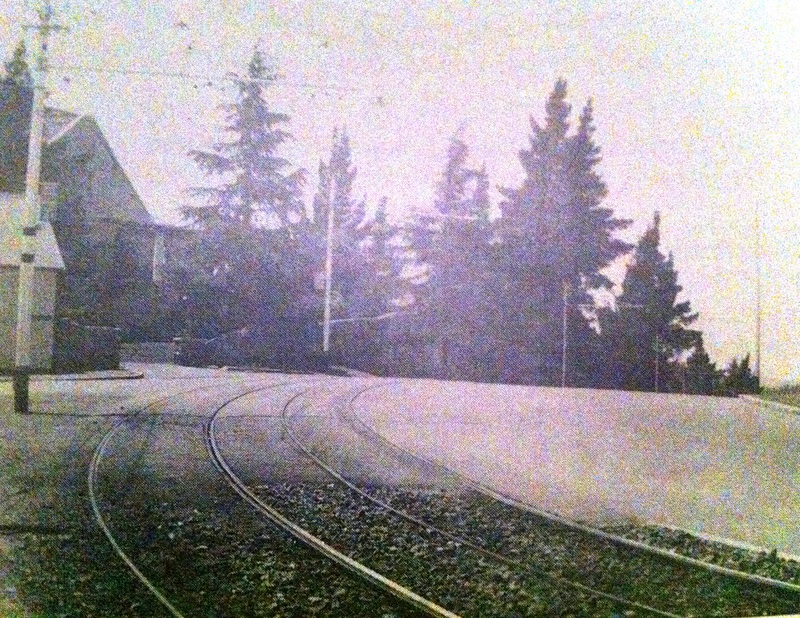 The tram which overturned was not on the corner of Lilly and Kotze street, but on the corner of Tudhope and Abel road. Very nice. You might find this post on Johannesburg trolley buses interesting. 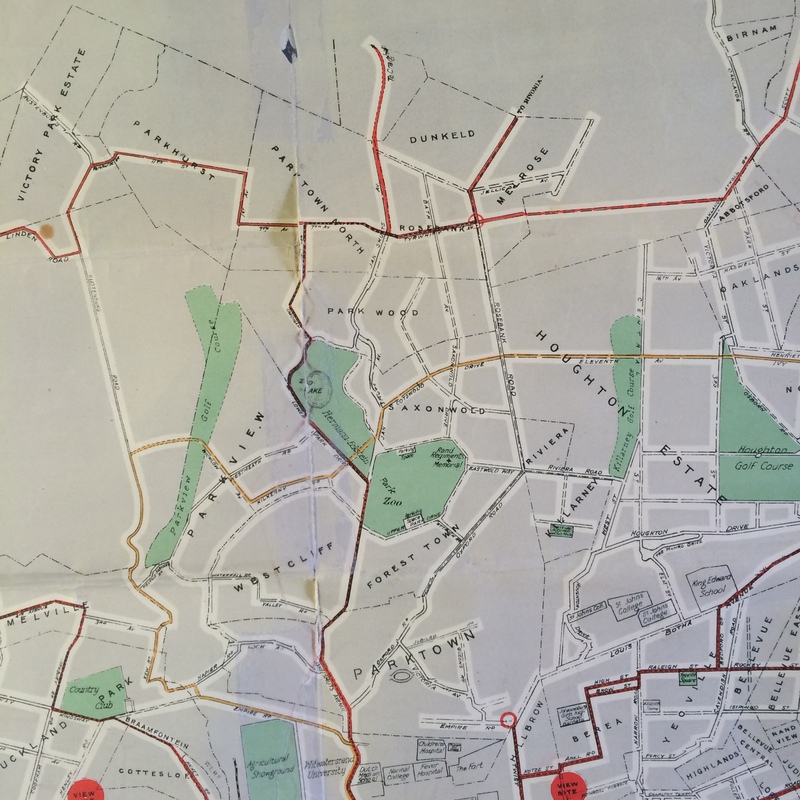 Thanks for the map, fantastic old relics of days gone by. 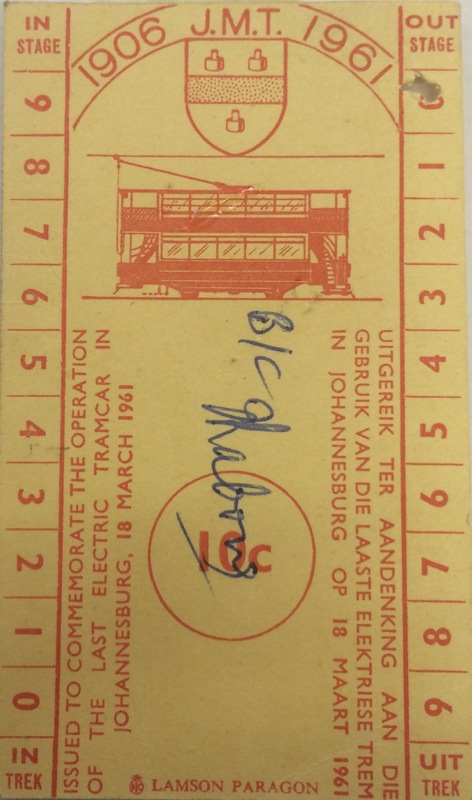 I still have a number of old tram tickets issued on the Johannesburg trams, including some last day tickets. 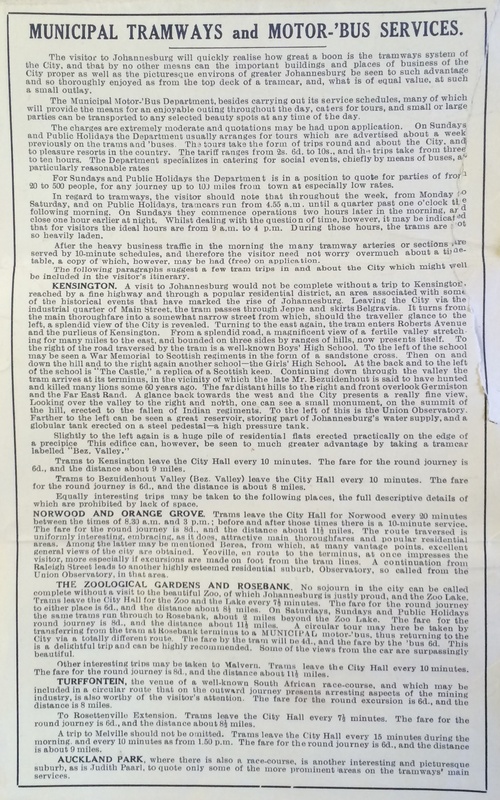 Amongst them are tickets sold on the last day of operation on the Newlands and Yeoville services when those routes were abandoned. I added a link to the piece from a guy who worked as a conductor on the last day. Very interesting. Thanks for keeping this history available. We used to travel on a trolley bus to and from Parkview Senior School each day. In the mornings, we hoped to get the driver who would fly down 3rd Avenue in Parktown North at such a speed that the electrical arms connecting to the overhead powerlines would bounce off and make us late for school. The bus had a long pole stored underneath the chassis in a tube for retrieving the arms. On a really good (time-delaying) day, the driver would need to come upstairs to use the pole to retrieve the arms. There was a turning circle outside Jan Celliers School opposite Zoo Lake. Sometimes the driver had to climb out and pull on a cable on one of the supporting lampposts to switch the points on the rails. At other splits such as 3rd Ave and 7th Ave in Parktown North, the points somehow knew if the bus was a No79 turning left towards Parkhurst or a No79A going straight across 7th Ave to the terminus without any driver intervention. Don’t know how that worked. On the Johannesburg and other South-African trolleybus systems, the switches or “frogs”, as they were often called, were operated by an electro magnet. You recall the trolleybus having the possibility of either going straight on or turning away or branching off. For that purpose a frog, or referred by some as points in the overhead, were installed where ever a line branched off. Should a trolleybus want to go straight ahead, that means it did not want to turn either left or right, the driver of the bus would take his foot of the power pedal and coast whilst passing underneath the overhead frog. Needless to say, he would take care that his bus did not travel too fast whilst negotiating the overhead frog. There was a speed limit of 5 miles per hour whist doing so. Passing through without touching the power pedal, would ensure that the trolleys went on the line going straight on. But, should the driver want to branch off, he would keep his left foot on the power pedal. Keeping it depressed slightly. When passing the frog in such a manner, an electro magnet situated in the overhead frog, would operate the tongues which inturn would direct the trolleys to the turn off set of wires. It will be clear to you that negotiating a frog with the power pedal slightly pressed, the speed would automatically become too high.To counteract the exessive speed, the handbrake would than be applied halfway to limit the speed. Hello, Great article, do you have any picts of the Tramway Hotel in Fordsburg, I lived there for over a year in the 1970s. Thanks! I have seen a few pictures of the hotel. I will post them when I do the Fordsburg piece. Was the hotel connected to the tram service somehow or was it just the name? Awesome doing some research about Melville 1880’s to 1937, mapping exercise. Anyone have updated maps? Would be keen to see what you find? Hi, what a fantastic article. Many thanks for taking the time to put it together. I travelled by tram between the City and Highlands North from 1963 until 1967. I loved those trams…… mind you they were pretty ugly when they came unstuck from the overhead wires! I notice that the video no longer exists and I was wondering if you still have it? Hi Robin, thanks for pointing that out. I’ve found it again as well as two others of interest. It seems it was taken down and re-uploaded. Hi. there is a shell of a streamliner tram in Amersfoort. Walkerville one scrapped about 10 years ago. Any others survive? Only ones I know about are those in the transport museum. 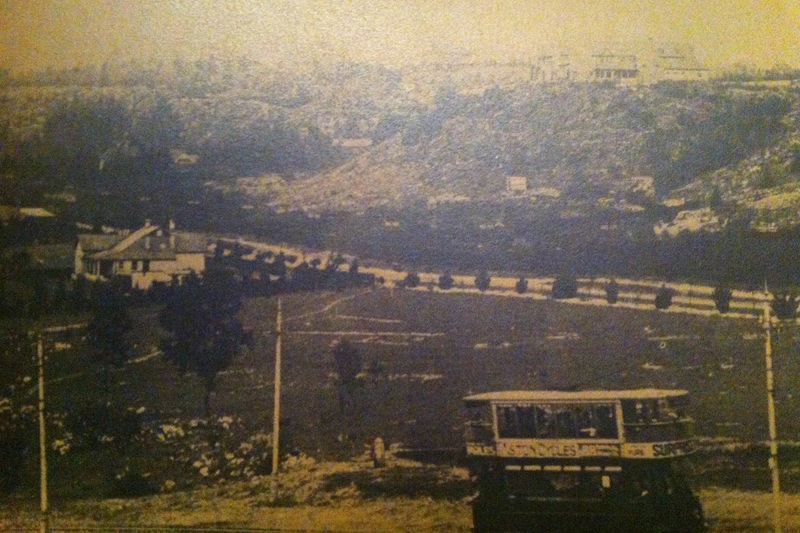 There were at least 6 ranging from a horse tram to the last tram from 1961. There are five trams in the Transport Museum, three Johannesburg electric trams, a Johannesburg horse tram and a Kimberley electric tram. 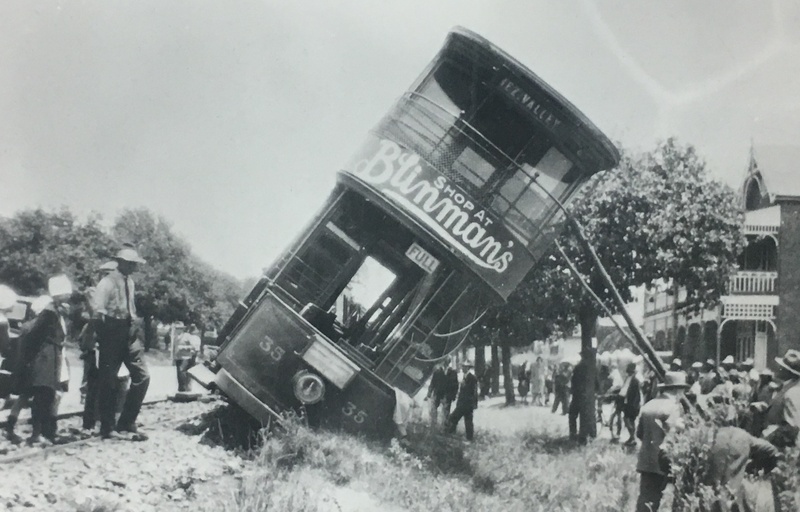 My grandfather Thomas Bellas died in an accident when he was a tram driver in Johannesburg. The date of death 11 March 1934. Can you shed light on the incident please? My grandfather was a tram driver for many years in Johannesburg. Where can I find information on his employment etc?. Hi Stu, I’m not sure. JHB transport dept. may have archive records, but I have no idea of where to start with inquiries.